Names are an important starting point to frame how we think about brands and customer segments in both B2B and B2C. In the case of customer segments, names can also impact whether we are respectful of them and value them or not. It is well understood that company brand names are critical. I recently wrote a branding success story about how Chairman and CEO Ilene Gordon successfully rebranded the public, $6.5B global ingredient company that she leads to better reflect its focus with customers and employees. This company, Ingredion, is widely recognized as one of the world’s most-admired, best-managed and fastest-growing companies. 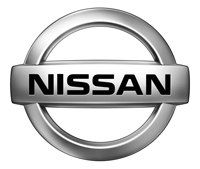 An earlier example from the 1980s is the $500M Datsun spent in rebranding as Nissan in the United States, despite a long corporate history with the Datsun brand. Apparently, the Datsun name is now being used in some other countries for less expensive vehicles while here in the US, we remain with Nissan and its aspirational, upscale sister brand, Infiniti. Take, for example, the target market of young adults between the ages of 18-29. While this segment’s disposable income may often be lower than average (incomes tend to rise with age until approximately age 50-55), the 18-29 segment is an important group for many organizations to capture from a lifetime value of the customer standpoint. One large financial services organization called this segment the “Youth” market or simply “Youth.” After exploring this term with consumers ages 13-29, we found that they did not appreciate the term “Youth.” Based on large-scale quantitative and qualitative research, we found they instead preferred to be referred to as “Young Adults.” Young Adults is a more aspirational and respectful term than Youth, which aligned with financial services, the product category in question. Changing the name to Young Adults required a concerted effort, and in doing so, helped shift management thought processes and field sales mindsets to seeing these customers as valuable today, rather than a nuisance to be dealt with until their future value matures. Another example comes from my work with my alma mater, the University of Pennsylvania. There are many different alumni groups, and I enjoy working with several that fit my affinity (Chicago resident, and female alum). Some of the names are engaging, such as Penn Families and YPenn (for Young Penn Alumni). When considering segments and the respect they are afforded, styles of address are also important: think about calling a businesswoman ‘Ms. Steele’ rather than ‘Beverly’ in an introduction. My opinion is that Ms. Steele will inspire a little more respect. Earlier this year, my young adult daughter noticed that an Economic Club of Chicago program referred to the two male speakers as Mr., whereas the female speaker was called by her first name. Unintentionally, juxtaposed to one another in the same program, this can seem less respectful to the female speaker. As it turns out, the club had merely reprinted the bio that each speaker had provided, but it still seemed problematic. To inspire more respect, women should consider adopting a more formal tone in appropriate circumstances, and consider how their male colleagues are representing themselves in their styles of address. In the world of marketing strategy, a customer segment must first get noticed and earn respect before it becomes an effective target market. Having the right segment name that accurately describes customers in a way they can identify with is a large part of that process, even if those customers never know they are part of a “segment.” The segment name your organization uses affects how your marketing and sales teams think about and communicates with customers. At your firm, are there any segments not getting the respect their buying power deserves? Start to fix this issue and improve your marketing by thoughtfully rebranding your customer segment names and getting your team on board. You point out a very important aspect of marketing. However, you omit one segment of the population when you end your discussion of stereotypes at age 70. Many of my colleagues continue to work until 80 and a friend who has passed the eight score mark is still racing his MiniCooper. We are truly the Sages. Thanks Carolyn- Yes for now, I will consider myself a mini Sage as I have not yet reached the venerable mark of the true Sage. Who had the courage to make that decision to switch from Datsun to Nissan? It was a brilliant move. I had forgotten that Nissan was Datsun till you reminded me. Some GM lines suffer poor brand health. I wonder if they're considering similar medicine. It's a good question on other legacy names that may not add value. Ingredion provides a great example of a public company that changed its name recently very successfully. Here in Chicago we also have AbbVie and Mondelez International recently created from Abbott and Kraft. Looks like Chicago is pretty innovative and creative in company naming!